Savor The Days: Have You Seen Chimney This Morning??? 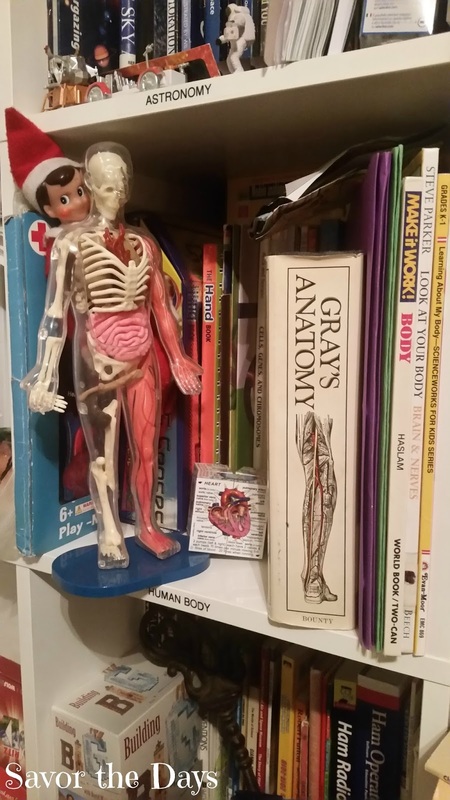 He did a little homeschooling among our Human Anatomy books. Is he dancing with the human body model? He hid in a hat in Rachel's room. She loves it when he picks her room to "hang" out in! 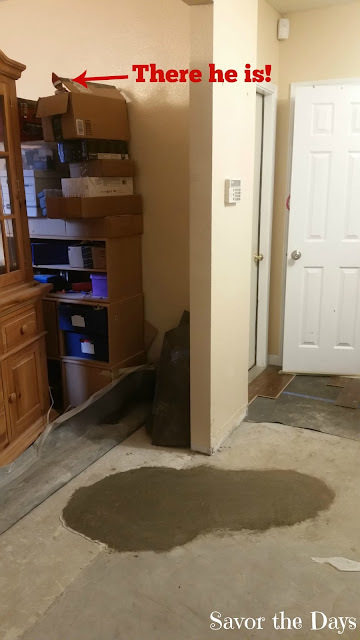 Unfortunately we had to have a leak repaired under the flooring so Chimney perched above the spot to make sure the repairs were going along as they should. Rachel had a hard time finding him on that morning! He was counting down the hours until Christmas as he hung out in our clock one day. Chimney kept a close eye as we baked Christmas goodies. I think he was waiting for a crumb to drop so he could have a midnight snack later. 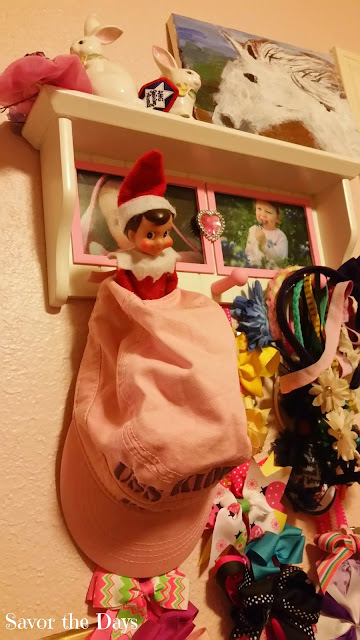 He always likes to hang out with the kids but on this day he picked Daddy's stocking to cuddle up in. 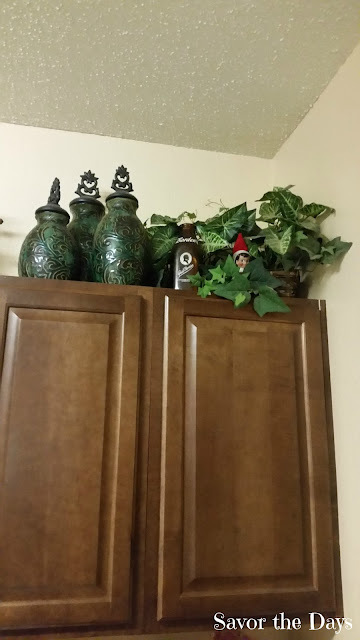 It's always fun to see where these sneaky little Christmas elves find to hide. 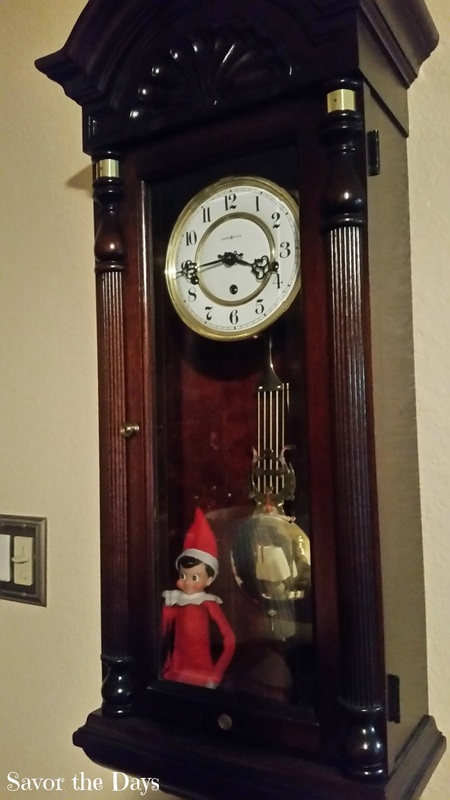 There's only one more week until Christmas and then Chimney will fly back to the North Pole with Santa.